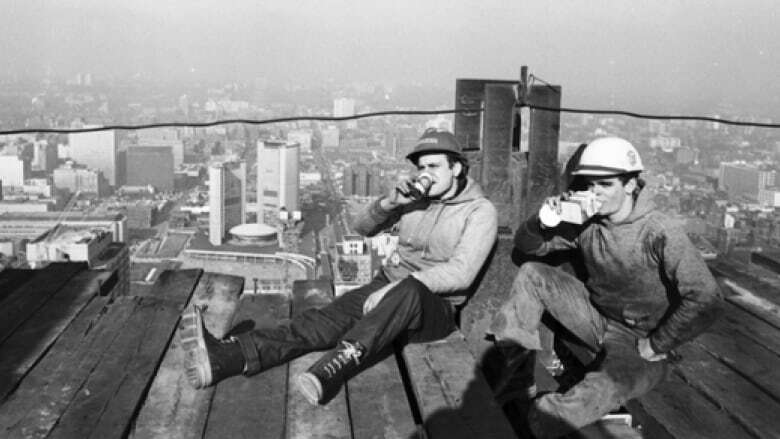 A new exhibit is highlighting the contributions made by immigrant workers to the construction industry in Toronto, during a time when major landmarks like the CN Tower and the Toronto-Dominion Centre were built. 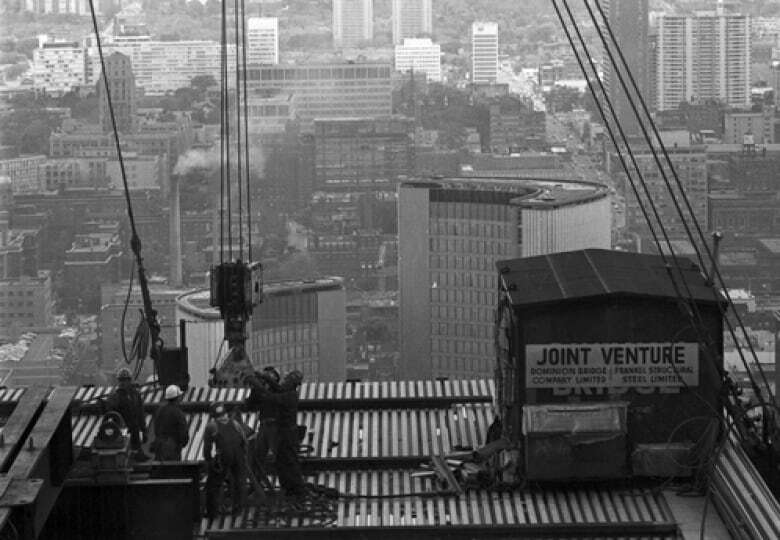 "City Builders: A History of Immigrant Construction Workers in Postwar Toronto," is being featured in the Myseum Intersections festival. The exhibit showcases the 'immigrants that built Toronto' through a multimedia project on display at the Columbus Centre, in North York from March 19 to 31. 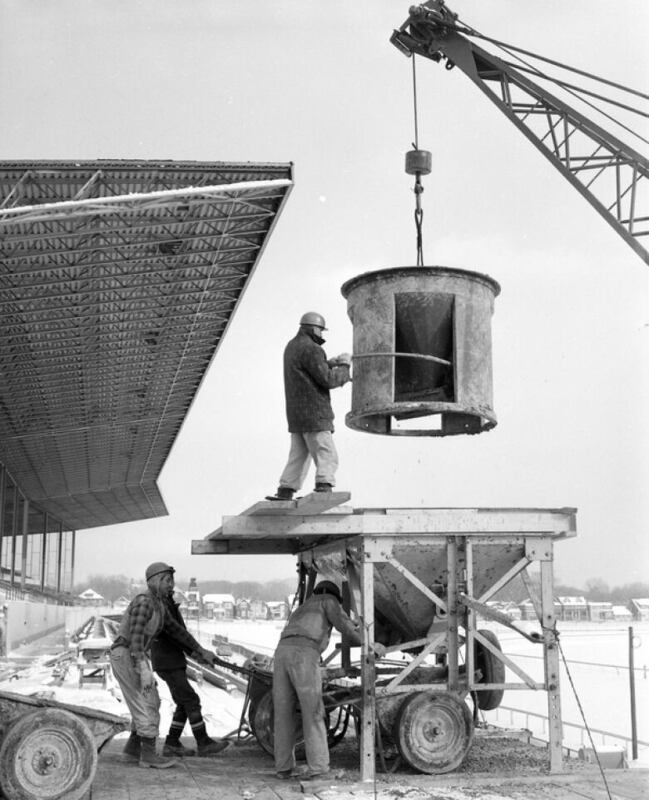 Through an interactive experience, displays, artifacts, and videos are used to tell the stories of Italian, Irish, Portuguese and other immigrant workers in the construction industry, between the 1950s and 1970s. Additionally, it explores the unsafe working conditions, the high number of fatalities faced by workers, as well as the rise of unions and labour organization. Eighty-seven year old Marino Toppan is one of the immigrants featured in the project. The retired labour rights activist and author worked in residential construction as a bricklayer. He spent five years building homes and apartment buildings, and witnessed first-hand, the dangers of the job. "The conditions were brutal, they were terrible, they were dangerous," he said of the circumstances many workers endured. Toppan says the exhibit is bringing an important part of Toronto's history to the forefront. "The new generation doesn't realize how difficult it was and they should know," he said. Gilberto Fernandes, project manager and curator of the project, says it's about understanding the past, and bringing a sad reality to light. "I think it's important to stop and think about how Toronto was built," he said. "There was a human cost to it." "There was a tremendous amount of people that died building the city." The project estimates at least 241 immigrant workers died while working in the industry. 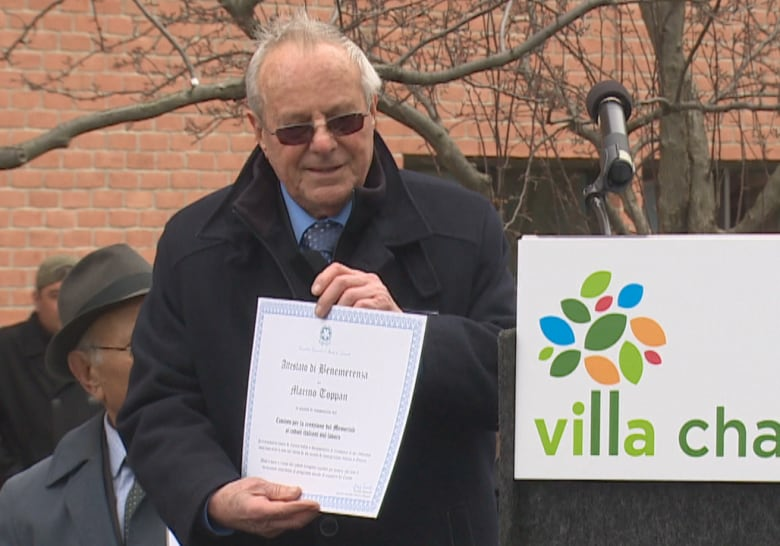 The Columbus Centre where the exhibit is showing is a branch of Villa Charities, a non-profit that is the cultural hub for the Italian community in the Greater Toronto Area. Emmanuele Lepri, Executive Director of Cultural Programming, says the multimedia project celebrates the hard work of Italians who immigrated to Toronto in search of a new life. "These opportunities were mainly in the construction industry, so that's why so many of our community members were construction workers." Lepris says the exhibit is telling a story many in the community can relate to. "They can find problems that were dealt with that affected their lives or their parents," he said. "So it definitely speaks to the heart of our community."